Thailand's most central city, and the gateway to Isaan and northern Thailand, Udon Thani is a relaxed and authentic Thai destination. We have the best car rental deals in Udon Thani. Udon Thani is approximately 500 kilometers northeast of Bangkok, and is the geographical gateway to Laos, North Vietnam, and South China. The city of Udon Thani is not necessary known as a tourist stop, but as a support center during the Vietnam War for the American Forces, Udon Thani does have English-speaking staff at most hotels, coffee shops, and bars. Udon Thani Downtown is the perfect place to pick up a rental to explore the region, and our pickuk/drop-off point is conveniently located at the PTT Gas Station, 60 Moo 5, Soi Bannongtaolek. We also offer a pick-up point at Udon Thani Airport. CarHirePhuket.com has the best rental rates and easiest access to high-quality cars in the region, and also stocks suitable vehicles for the varied terrains found in and about Udon Thani, to include 4-wheelers. Start searching now for the lowest rental rates and the best hire deals in Udon Thani, all with the reliable service you expect from the top rental companies in Thailand — great rental deals are just a search away. All rates are fully inclusive of taxes and fees, so you can rest assured there’ll be no hidden charges, and our city centre location can’t be beat! While the city of Udon Thani is best known for potash mines and the Vietnam War-era airbase that hosted the Voice of America radio program, Udon Thani is also known as a world heritage site for the prehistoric culture excavation at the nearby hamlet of Ban Chiang. Ban Chiang is home to archeological wonders from the Bronze Age, where ancient inhabitants once lived, worked and played some 5,000 years ago. This bronze-age village also includes an ancient cemetery that is providing archeologists with a clear picture of what life was once like from 3600 B.C. to about 200 A.D. 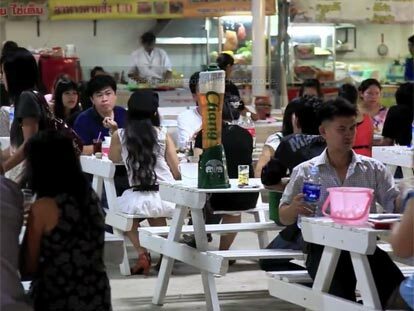 But the Udon Thani area also has telltale signs of modern life, with the new Udon Town area, a large shopping complex that includes a Makro, Tesco Lotus, Carrefour, and Big C — all ultra modern and fully-stocked retail outlets serving the ½ million or so inhabitants. Udon Thani is a photographer’s dream, and a natural wonderland for anyone that enjoys the outdoors and that likes to explore highland jungle and waterfall vistas of all types. Inside and outside of the city limits, you will easily find places to hike, bike, or partake in a scenic drive. For example, you can easily drive the 35km to Ban Chiang, a UNESCO World Heritage Site, where one could spend days exploring the digs and exhibits found there. Also nearby, are several large parks like the Phu Phrabat National Park, just 60km to the northwest, where there are rock formations that date back thousands of years, to include Bronze-era cave paintings. No visit to the area would be complete without a stroll along Route 2, about 15km from Udon where you can visit the famous silk and cotton weaving village that sells products commercially. Back in town, cheap eats can be found at any Korean-style BBQ shop and especially so in the area around the Charoen Shopping Complex. For international fare, a great stop would be Steve’s Bar, which is run by an English expat and his Thai wife, where they serve UK-style pub grub. And if a longer auto drive is envisioned, Vientiane (capitol of Laos) is just a short 1.5 hours away and where 30-day visas are issued on the spot of the Friendship Bridge for just USD $35. 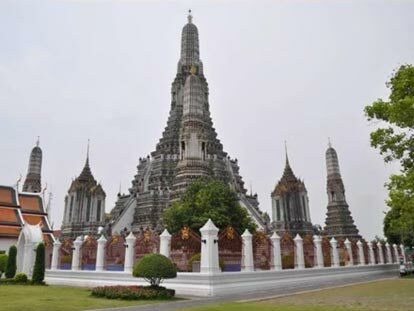 If you need more suggestions for your trip to Udon Thani check out the following websites — 1StopTahiland’s Udon Thani tourist guide, WikiTravels Udon Thani guide, or TourismThailand.org Udon Thani guide.